To Quang Ninh, next to the Bay of Ha Long which is so famous, try to find yourself a pristine island, to enjoy the fresh, separate from everything outside, before the summer of this year ends. Banh Sua island (also known as Ong To Island or Tu Hai Island) is located on Bai Tu Long Bay in Quang Ninh Province. The island not only possesses the sweet name, but this land is truly a pristine oasis that makes visitors immersed in the journey of nature. 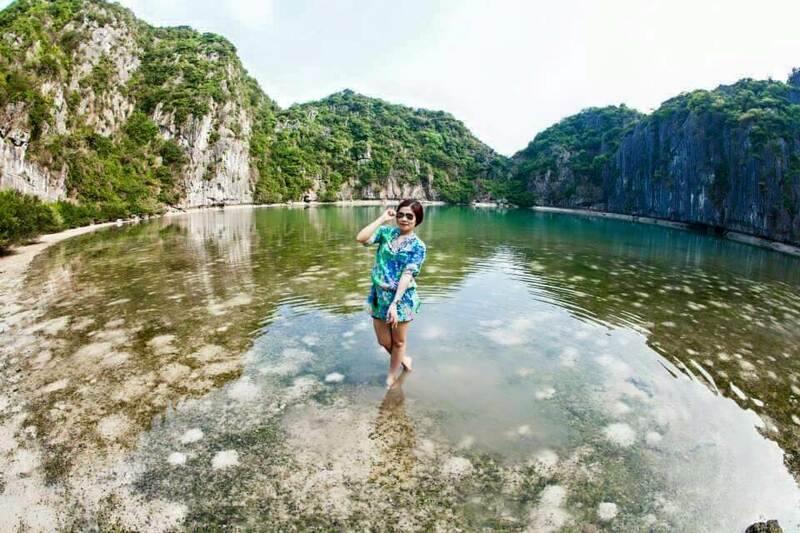 Banh Sua Island is less than 1 km², the largest of which is about 420 meters and it looks like a small turtle in the middle of the vast sea. 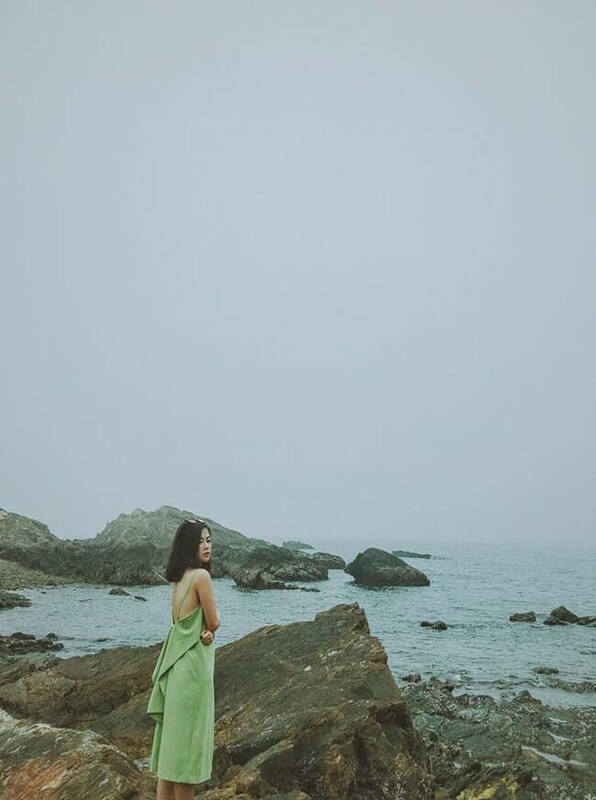 Though not own the long sandy beaches, white with blue water, no star hotels and the more noisy atmosphere of the resort but the beauty of Banh Sua island will make visitors love infatuated and drowned in the quiet, peaceful space to the surprise of the room, pretty simple. Wandering the island, you will always find interesting things around the oasis amidst this vast ocean. 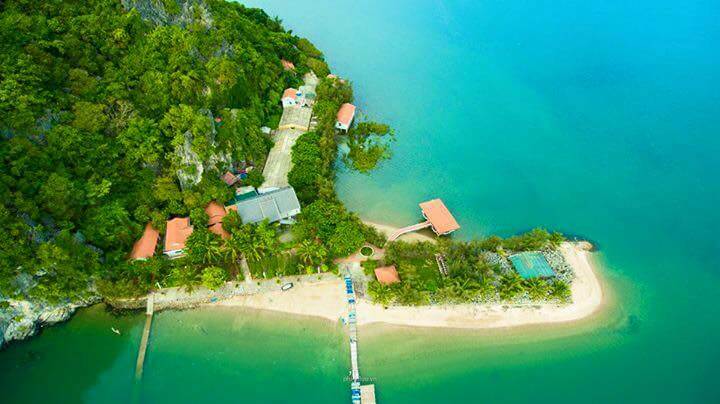 Somewhere in this lovely island, you will be able to relax in peaceful, peaceful surroundings, enjoy the clear blue water, swim around the island and dive into the colorful coral reefs. 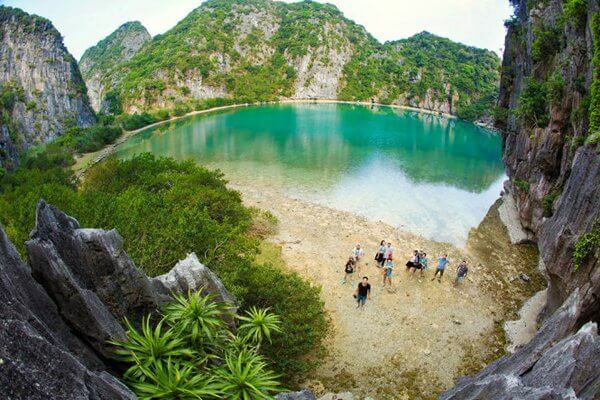 Co To Island in Quang Ninh province is about 3 hours by boat from Cai Rong harbor or 1.5 hours by boat. 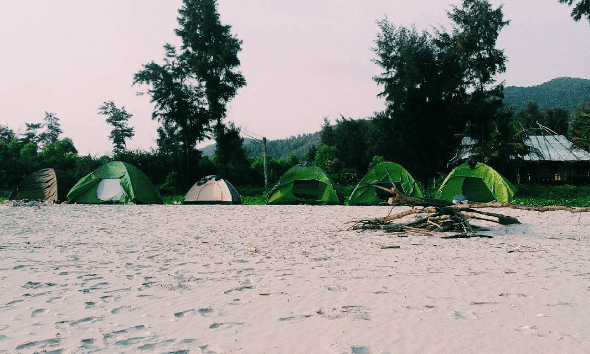 The island in the last 5 years has been a favorite destination for many young people in the summer with sea activities, night camping. Co Tu still has many wild features, clear beaches, smooth sand, undeveloped services. To visit and explore Co To island you can spend 1 to 2 days here. Unlike other islands visiting by motorbike or boat, to Co To, you just need to ride a bike. 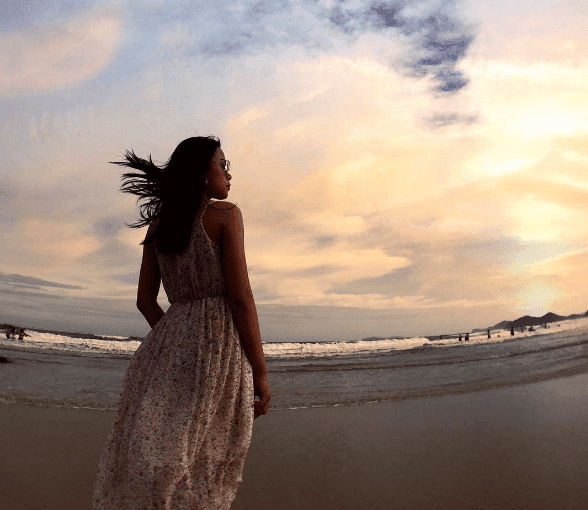 Where to go on the island is the Co To Lighthouse, visit the Van Chanh wharf, Hong Van, Bac Ngan port, Cau Ma stone beach and do not overlook Co To Son, a small island with no inhabitants living near Co To . You should get up early to go to the market, buy seafood such as squid, clams, oysters ... and then bring to the grill near the sea. If you are a little handsome and meticulous, you can create your own unique BBQ party on the beach of Co To Island. 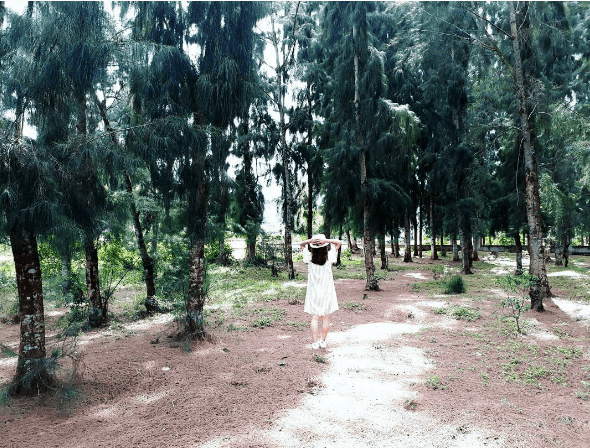 Ngoc Vung Island (also known as Ngoc Island) is located in Van Don District. The name of this jade island originates from the ancient times where many rare pearls emit shimmering light at night. Unlike other islands in the sea, the island is full of favorable natural conditions such as eco-lakes, plains and small valleys so that people can develop agriculture. Apart from Truong Chinh Beach, which runs more than 3 km, Ngoc Vung Island is a green rice field that is close to the harvest season. 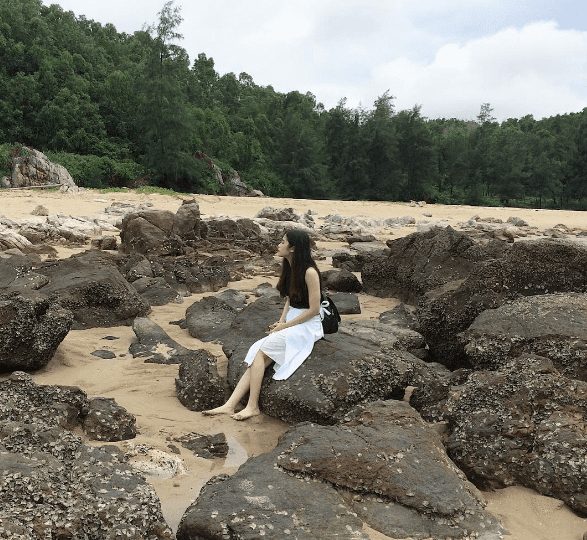 Ngoc Vung Island may not be as famous as Co To Island or Quan Lan, but wild, with the potential to develop tourism as the wide beach is deserted with fine sand, the small straight roads along Casuarina cascades will makes visitors extremely excited. 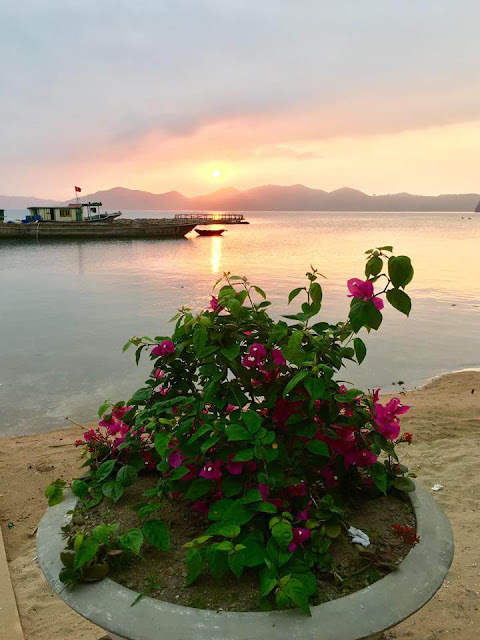 Situated in the Bai Tu Long Bay, Quan Lan Island, Van Don District is a highlight of the romantic landscape with long white sand dunes, lush green forest, beaches not affected by the children, the people... and the nostalgia of a busy trading port. 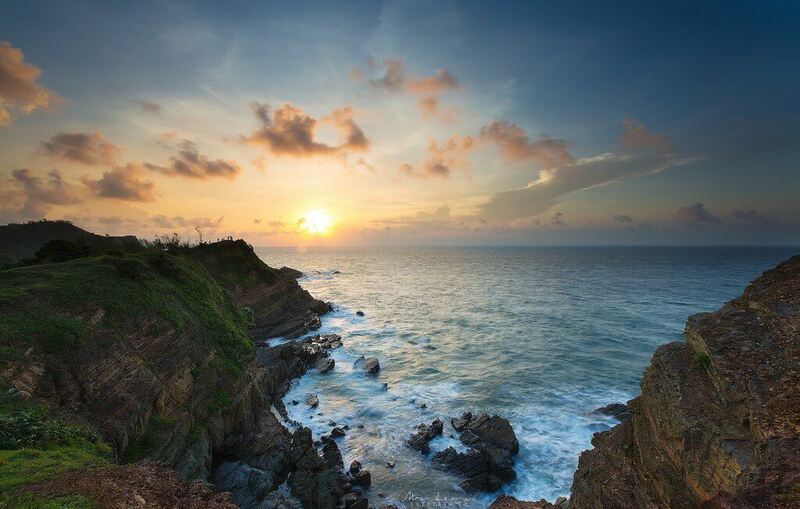 Go to Quan Lan peacefully with nature with stretches of sand with gentle slope. The most interesting is the fine white sand, which is exploited as a raw material for glass production. 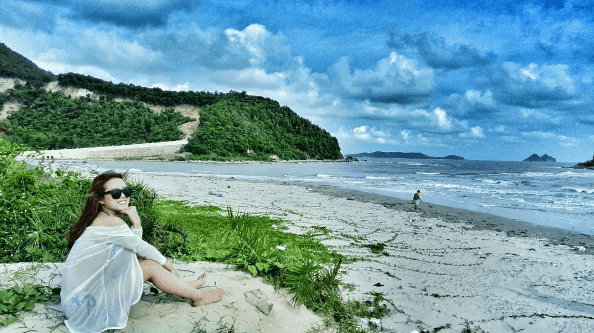 Due to being away from the mainland and encircled in Bai Tu Long Bay, Quan Lan Beach is considered to be the greenest in the north by tourists. 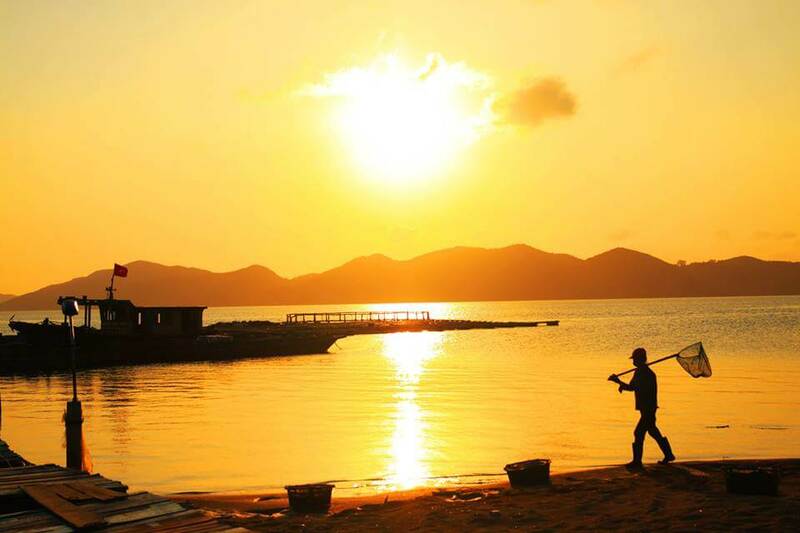 If Co To, Quan Lan Island is the island of many people interested in planning to explore, this year Dragon Eye Island is becoming a new trend to attract the curiosity of many young people. Dragon Eye Island with an area of about 30 hectares is also known by the name of island Bai Dong. The island is located in the southern part of Ha Long Bay, adjacent to the Lan Ha Bay area. It can be said that the most attractive point of eye Dragon Island is in the wild, primitive beauty. If you can afford to travel on a seafaring seaplane, you will admire the whole Ha Long Bay from above and understand why this island is called Dragon Eye. The island lies between the majestic mountains. And if you are able to admire the cool blue waters of the island you will only want to immerse yourself in a place that seems to be able to see through the bottom. Currently the service on the island is very limited, but this is probably the point that makes people want to move the desire to be placed on Dragon Island. Nice post. Pics are very nice. Thanks for sharing article. Rent the best quality charter/boat in Greece. Yacht charter is a different name for boat rental. Most common yacht charters in Greece are 6 nights/7 days and start on Saturday. That’s why most if not all prices on this website are weekly. Another aspect of yacht charters in Greece is the currency. Due to the exchange rate fluctuations, we’ve adjusted the charter prices to show in Euro (€). A yacht charter in Greece will include a deposit forfeiture insurance, sometimes also trip cancellation insurance.